Happy Halloween everyone! I’ve always liked Halloween, even from a young age. I love dressing up and, of course, I love the candy! However, Halloween kind of signals the end of fall to me. I know this may sound crazy, but it just feels like Thanksgiving and Christmas are right around the corner and cold weather is heading our way! Today I’m sharing 5 things to do before that fall feeling is over. Bake pumpkin muffins/bread. After going to a pumpkin patch I ALWAYS crave some baked pumpkin goodness. I’ve tested out many recipes over the years, but for my favorite recipe, click here. Go apple picking. I had never been to an apple orchard until this year when Dustin took me while we were in Wisconsin. It was so pretty and the shop at the orchard smelled SO amazing! Of course we ate all the caramel apples and drank all the cider. Take a drive to look at fall foliage. I’m so excited Dustin and I are actually headed to the mountains this weekend and I think the leaves are going to be gorgeous! There is just something about the colors of the leaves turning. I absolutely love it! Watch Hocus Pocus one more time! It just feels wrong to watch it at any other time during the year, so tonight while kiddos are trick or treating, turn it on ABC Family and get your fill! Old Navy: 31% your entire purchase all day today! 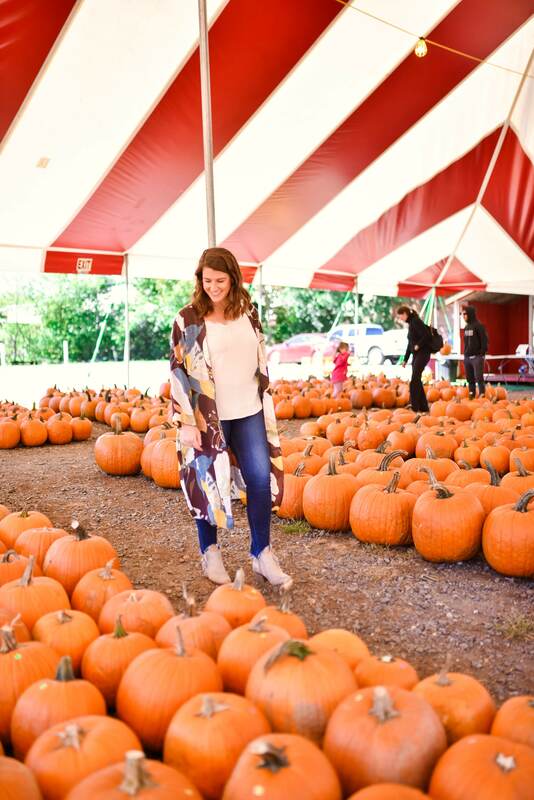 Do y’all have any fall traditions you are trying to fit in over the next few weeks? I’m loving this incredible weather and embracing fall for all its worth right now.